WHAT IS TAX SECTION 179? 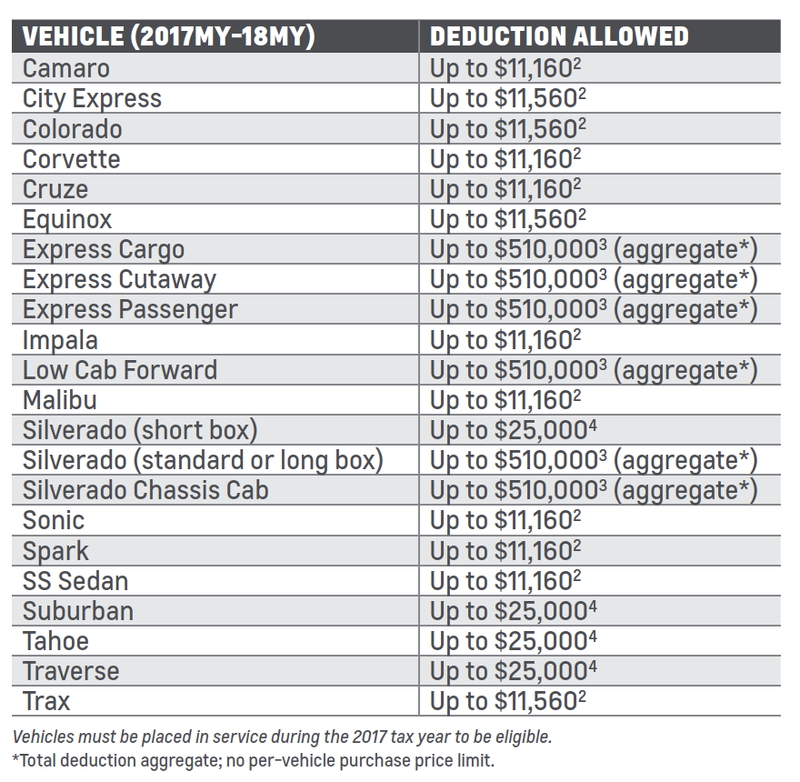 vehicles can take a deduction of up to $510,000. See the allowed amounts for each eligible Chevrolet vehicle in the chart below. to the $510,000 limit and $2,030,000 investment limit under Section 179.